Will Restaurants and Gyms Save Downtown Retail? Home /The Livable Region/Business & Economy/Will Restaurants and Gyms Save Downtown Retail? 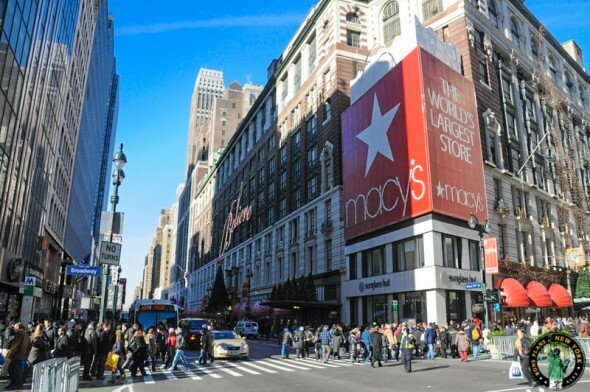 While New York City real estate experts have suggested that anywhere between 10 and 20 percent of Manhattan’s retail space is vacant, that figure in itself may not be an indicator of good retail health of an area. A successful retail area may be more about the uses. The writer Derek Thompson in the New York Times had a real estate broker walk 18 prime retail blocks. Out of 246 storefronts, only 13 had for rent signs in vacant storefronts, suggesting a vacancy rate in the manageable 5 percent range. But there is a change of use in retail. Food and drink categories have been the main businesses leasing retail spaces in New York City in the last three years, with what is termed as “fast casual” eateries multiplying over 100 percent in ten years. New York City’s retail businesses now cater to a richer cohort that work out and drink artisanal coffees. While contributing to the “blandification” of New York City, it also suggests businesses that attract the same customers as those served by high-end gyms and restaurants would do favorably. Low crime rates and lower rents are now bringing many corporate offices back into the New York City downtown. Here is a YouTube video outlining the vacant stores in the 5th Avenue area where landlords are still holding for higher rents. In the video, Mayor de Blasio considers a “vacancy tax” for storefront owners who leave a retail store vacant too long. A survey such as this NYC one would likely derive a similar result in Vancouver. Just look at Robson, Denman and Davie Streets. I noticed an announcement that Chapters Indigo is coming back to Robson Street after giving up their multi-storey space at Howe several years back. This will be in the 1000-block, between Burrard and Thurlow. Talk about a prime location. Already open – it’s like the old one, but a bit more sterile and with a jazz band. I noticed a similar trend in London where decent take-away and coffee houses like Pret a Manger, Benugo and Cafe Nero occupy prime retail spaces and win space at crowded, high-revenue venues like the British Museum Great Court. They are ubiquitous and seem to be doing well, no doubt because they offer decent, fresh fare at reasonable prices in an expensive town. They seem to outnumber McDonalds and Burger King too. If there was a relationship between gyms and cafes there, it wasn’t noticeable. Of course, this was London where smokers still seem ubiquitous.